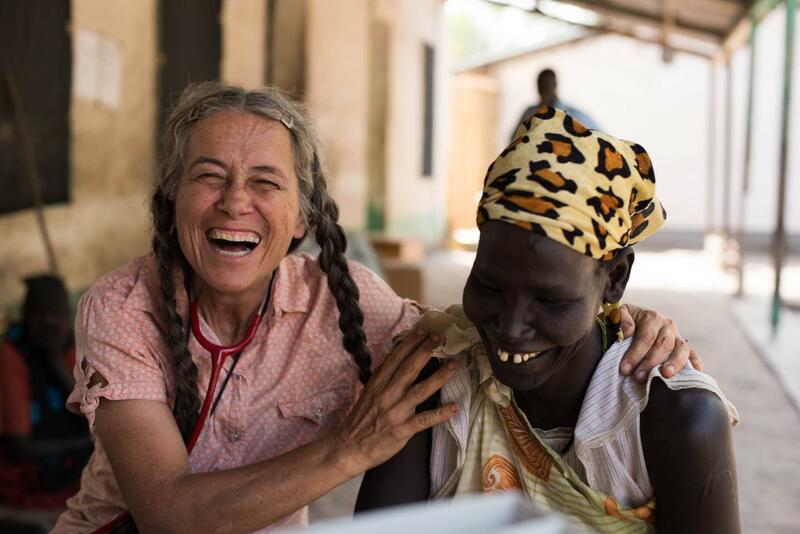 Dr. Jill Seaman (left) laughing with a woman in Old Fangak, South Sudan. 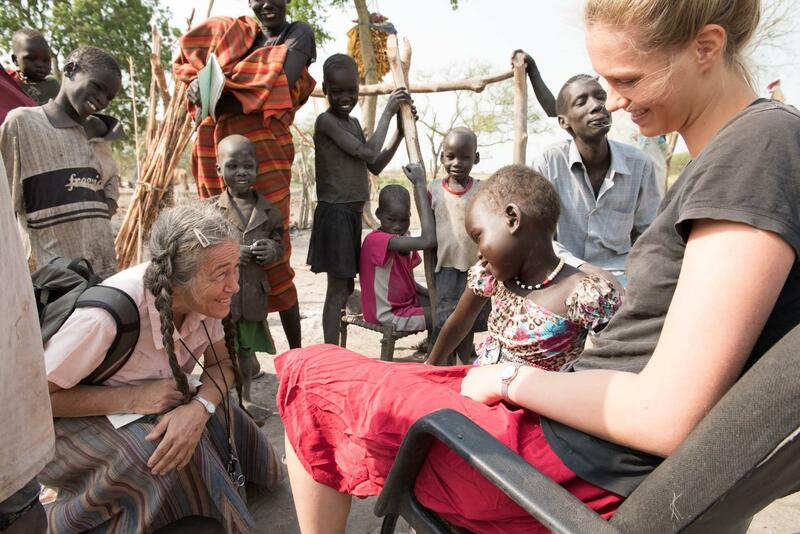 A Bethel physician is getting ready to return to South Sudan and the medical organization she’s helped run there since the 1980’s. Dr. Jill Seaman spends about four months a year in Bethel working at the Yukon Kuskokwim Health Corporation. 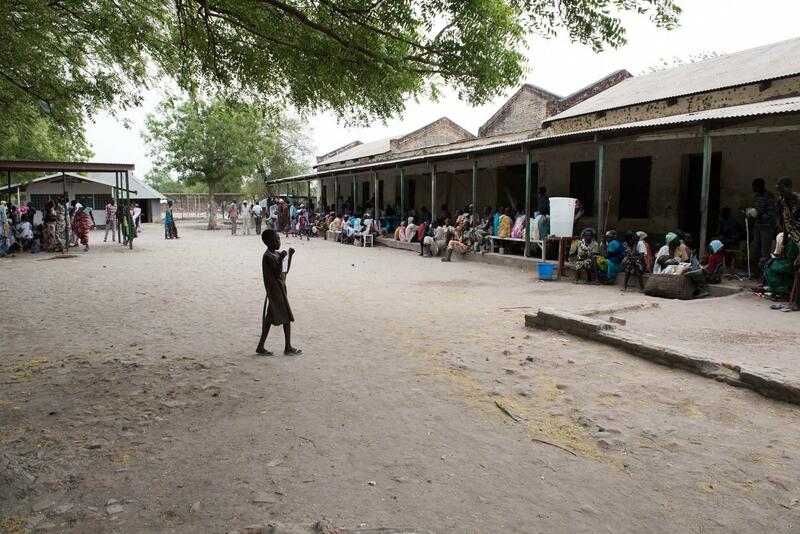 Then she travels to Old Fangak, South Sudan, where she mainly treats infectious diseases. Dr. Seaman heads back to Africa next week, and spoke with KYUK’s Anna Rose MacArthur after a recent talk at the UAF Kuskokwim Campus about her medical work. Seaman: I’ve lived more of my adult life in South Sudan than any place else. Since 1989, I’ve been in one of the Sudan’s every year. KYUK: And you’re here in Bethel in the summer months? Seaman: Because that’s when there’s fewer patients in our clinic. There’re two reasons there’re fewer patients. One is that it’s flooded, and so the patients can’t get to us very easily. And the second is that the kala azar numbers go way down by May, just because of the epidemiology of the disease. So then there’re not as many kala azar patients there, so I then I leave. But the national staff that works in our organization, they continue the program. It doesn’t stop. KYUK: Kala azar is your specialty. What is kala azar? Seaman: It’s a parasitic disease. It’s transmitted by a sand fly. It bites people and transmits the parasite Leishmania that goes into your body and gives you fevers, and wasting, and a big spleen, and then you usually die severely malnourished. But there’s treatment, because that’s my specialty, because we can treat it. KYUK: What do you specialize in when you’re in Bethel? Seaman: These past few years I’ve mostly worked either in the wards or in the emergency room. It is a different type of practice, but there’s a lot of TB [tuberculosis] here, and there’s a lot of TB in Old Fangak as well. So those types of things are the same. 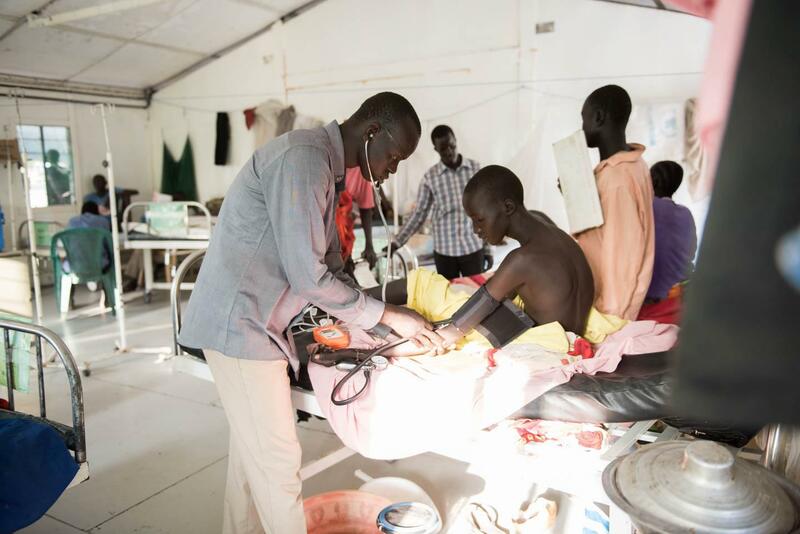 And there’s a lot of infection here and a lot of infection in South Sudan. So that type of thing is the same. It’s much more similar than you would think. KYUK: What similarities do you see between the communities of Bethel, Alaska and Old Fangak, South Sudan? Seaman: I think that family is a similar concept in both places. Family takes care of you. We don’t have orphans in Old Fangak, because family takes care of children. And I think that’s similar in both places. In Old Fangak people are very traditional and have lots of traditional beliefs, but still very many people do want good health care, so they’re very willing to try to access health care, which is very similar in both places. 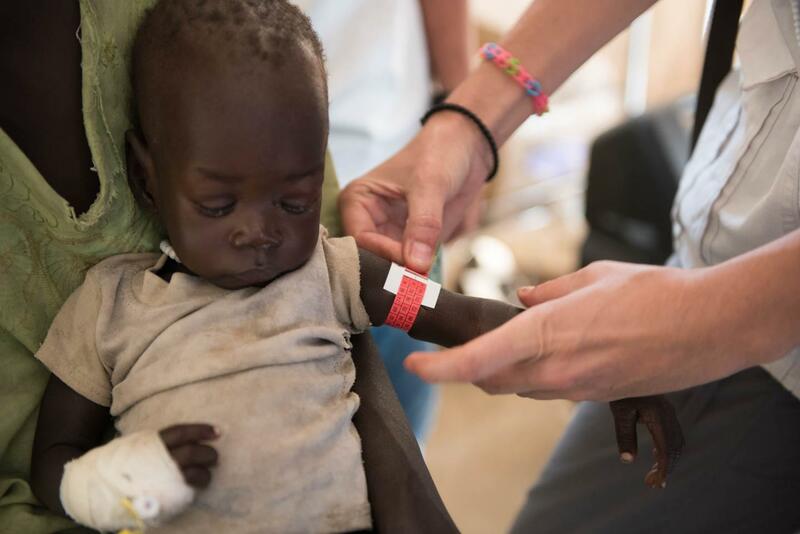 Dr. Jill Seaman at South Sudan Medical Relief. KYUK: And you mentioned during your talk that there’re fish camps in both places. Seaman: Yeah, our fish camps in Old Fangak are different than our fish camps in Bethel, and that’s probably because it freezes during the winter here. There are other camps that people go to. They have winter camps. You know people who go moose hunting [in Bethel] go to a different camp, and that’s the same in South Sudan. They have cattle camp, which is near the water, where the cattle can go when the area gets drier. So they need to go to the place where there’s water, and everybody goes there. And you stay basically with the source of nutrition: fish or milk, and those types of things are very much alike. KYUK: How do you get blood transfusions there? Where does the blood come from? Seaman: Most of the blood comes from relatives. So we just ask and we test the blood. In emergencies, people like myself can donate blood pretty easily, too. And we do have all the rapid tests now to make sure that, as best we can, that people are getting good blood. KYUK: And you said that you often donate your own blood to your patients? Seaman: Yeah. You know in Bethel we also used to donate. We had a walk-in blood bank. It’s not until all these new diseases that came that require incredible amounts of testing and blood bank rules, which mostly have been very wonderful, that it separated the people from who they donate from. So in Bethel we used to have walk-in blood banks that we’d announce over the radio that we needed whatever type of blood it was, and people would come to the hospital and donate. KYUK: It seems that you could go so many places in the world, why do you keep returning to South Sudan? 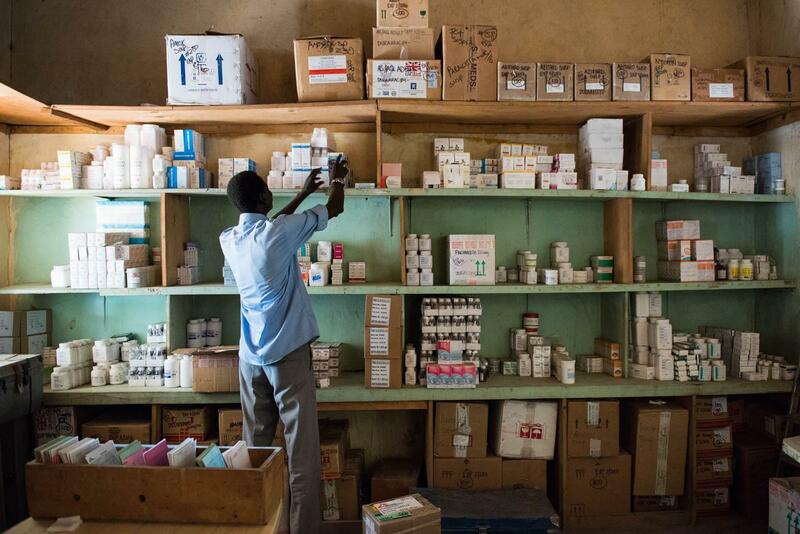 Seaman: My goodness, when I first went overseas, there was a huge kala azar epidemic. Fifty percent of the population was already dead, and the world did not even know that. And it was a place where there was a lot of need, and people asked us to be there, and we could work within a community. And because of that I developed, perhaps, a solidarity with the people there, trying to make things work, make their health care system a nice one rather than only rich people getting health care and poor people sitting on the steps to starve. And we’ve been doing that for many, many years. You make a commitment to a group of people, and we work together. KYUK: How do you stay safe when you’re there? Seaman: Well, I think the community helps keep us safe. Fortunately, we happened to choose a place that had no roads. If there’s no roads, tanks can’t come, and we don’t have anything important, so there’s no helicopter gunships for our oil, because we don’t have any. So I think that’s logistically why we ended up safe, but it’s also because of the people in the area. And I think it’s because of the health care in the area, because the people really like that they have health care. The health care workers are very well respected. So we’re very fortunate. KYUK: What keeps you going back year after year? Seaman: Well they don’t have the health care system working yet, so we’re still trying to make it work, so they can have health care even when I’m no longer around.